Greencastle-Antrim's boys basketball team is starting to seem untouchable in the Mid Penn Colonial Division. The Blue Devils were expected to be put to the test by two-time defending champion Shippensburg last week. But G-A easily and quickly put away any kind of hope for the Greyhounds in Friday night's 72-51 win. Now, it's Waynesboro's turn to give Greencastle a go. The Blue Devils host the Indians in a rivalry matchup on Tuesday night that now has serious division implications. G-A and Waynesboro are first and second in the Colonial, respectively. "We know they're good, that's no big secret," Waynesboro coach Tom Hoffman said. "But, we think we're pretty good too, so we're interested to see how well we match up with them." The teams enter Tuesday's showdown with similar records and similar styles. Greencastle (7-4, 5-0 MPC) boasts a strong defensive game with an offense capable of having multiple players put up double figures. 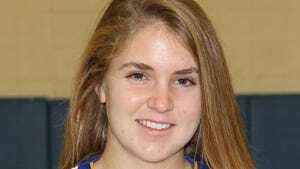 In the opposite corner, Waynesboro (7-4, 4-1 MPC) likewise uses a stifling full-court press and has a balanced offensive attack. "They do a lot of the same things we do," G-A coach Rick Lewis said. "You hate to break it down to something so simple, but it might get down to who's making shots. I think both teams play really hard. Both teams like to press and run and shoot 3-pointers, and it might just get down to who's hot." The Blue Devils are the area's only team with three players averaging in double figures. Casey Hoover leads the way with 14.4 points per game, while Brandon Stuhler (11.7 ppg) and Ian Gelsinger (10.2) have become regular contributors. Stuhler also leads G-A with 40 steals and 49 rebounds. "Brandon Stuhler is the best defensive guard I've maybe ever seen," Hoffman said. But just like Greencastle likes to rack up the steals, Waynesboro has a defensive prowess of its own. The Indians are averaging more than six steals per game with Logan Weibley and Cameron Keck leading the way with 15 apiece. And similar to the Blue Devils, the Indians have had a myriad of point contributors this season. Keck is averaging 13.1 ppg, while Evan Hine is averaging 11.5 points and 6.5 rebounds per game. Mitch Neterer has 8.2 ppg. "It doesn't matter if we're in a man or a zone, we gotta get out on Keck and Neterer, who are their top 3-point shooters," Lewis said. "The 3-point shot is such a weapon anymore; it's like the new dunk. We really have to keep Keck from going crazy, and (Kyle) Hoffman doesn't get a lot of credit, but he does a great job running their offense." If the environment for Greencastle's matchup with Ship is any indicator, Tuesday's game won't be for the faint of heart. 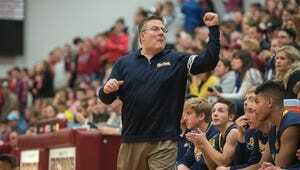 "On a personal level, I love Greencastle's gym," Hoffman said. "It's an old school gym that you have to fight for a seat in during a big game; that's what it's all about. With this rivalry, people are going to be saying stuff to you, at you, about you, but it's a fun night to be a part of high school basketball." Game data: Waynesboro Indians at Greencastle-Antrim Blue Devils boys basketball ... Tuesday, 7:30 p.m. at Greencastle ... Mid Penn Colonial Division game. Teams: Both teams are coming off a loss, but they are the top two in the division. ... Greencastle is 7-4 (5-0 MPC) and holds sole possession of first place ... Waynesboro is 7-4 (4-1 MPC). Series: The teams haven't met this season. P.O. Greencastle by 5. If the Blue Devils shoot well, their defense is just too stifling for Waynesboro.